No one but God could have convinced Saul he was blind. No one but God had a clue Saul would ever follow Jesus. No one is outside the reach of God’s mercy and grace. No one but God gets the credit for causing Saul’s radical conversion. We should be both deeply encouraged and challenged by this account! Has GOD called you but you don't have faith that he will go with you? Be inspired by Abraham, Noah, and a missionary family. and be assured: WHERE GOD CALLS HE WILL GO WITH YOU! As Christians we are the Church ("Ecclesia" - The "Called Out Ones"). What does this mean for us in 2012? How do we know we are fulfilling God's plan for us as individuals and as a Church? 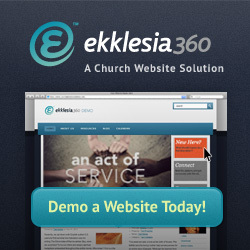 What does it truly mean to be the "Ecclesia" and in what way do we need to change? This Sunday's gathering we focused on laying out the details of our Advent Celebration project - working with The Cupcake Girls [http://www.thecupcakegirls.org] to reach and build relationships with the Strip Clubs and Brothels in the Las Vegas area. We also spent a chunk of time reading/talking through the ongoing story in the 2nd Letter of Peter - specifically the 1st chapter and even more specifically verses 3-4. In this passage Peter is continuing to emphasize not only the incredible value of knowing God, but also the order in which He has called us. It isn't - stop sinning, the Jesus will accept you, and then He'll save you. Instead it is - Jesus called you, loves you, and through that you can seek to fight against the lies that Satan continues to throw at us with the truth of who He says we are. Not who we were, but who we are should drive our responses and our decisions in life. Yesterday, our state re-elected Bobby Jindal as our governor. So far as governor elections go in the State of Louisiana, this election was hardly noticeable. I think all will agree that our state has had some pretty interesting elections. One of my favorite stories of a governor’s election happened in the fall of 1999. Our governor at the time was Murphy J. “Mike” Foster Jr. He was running as the incumbent for re-election. During that qualifying period a 33 year old brick layer from Pitkin, LA, walked into Secretary of State’s office and qualified to run for governor. He was also named “Mike Foster.” This second Mike Foster said at the time that he was not running to confuse voters. In fact, he said, “If there wasn’t another Mike Foster in the race, I’d probably still be running.” What does all of this have to do with our text this morning? Simply this—names are important. Names identify. How many people claim to be Christians? In most cases in America, people claim to be Christians if they do not identify with another religion or specifically say they have no religion. How many of these are authentic Christians? How many fit the definition of the Bible? How many fit the description of the believers in Acts 11? Do I live up to the name Christian or am I a “Christian” in name only? Acts 11 can help us to see.